Looking for a Free Joomla Template and that too with all the major features that a premium template got? If yes then we got you, introducing you to the latest free Multipurpose Joomla Template – JD Austin, developed by the JoomDev, JD Austin got all the features of the premium Joomla templates. Features like fully responsive design, SEO Optimised, Clean and Lightweight, Cross Browser compatibility makes JD Austin one of the best free Multipurpose Joomla template out there. Let’s have a look at all the features, JD Austin Free Multipurpose Joomla Template has to offer its users. Good website design can create a lasting first impression and can boost your credibility and trustworthiness. Good typography can help you communicate your messages more clearly and can help your readers in taking the desired call to action. JD Austin allows you to choose different typography for body, Headings, or Navigations. You can set different font families, font sizes, font weight, style and subsets as per your requirements. JD Austin is the latest Free Multipurpose Joomla Template in the market. You can download it for free and use it in any way without any restrictions. With JD Austin you can build any type of website ranging from business website, freelancer portfolio website to digital marketing agency website. There are no restrictions, the only limit is your creativity. JD Austin got all the features like fully responsive, SEO optimized, powerful admin panel, custom page templates, fast and lightweight code which allow you to create every kind of website you can think of. The template you will choose for your next Joomla website can significantly affect your SEO outcomes, so if you want to choose one that is ready for SEO then JD Austin is the best option for you. JD Austin is developed according to up-to-date SEO Standards like valid Coding, responsive design, proper tags and headings, fast website upload speed and loading time. All these features of JD Austin Free Multipurpose Joomla Template allow you to ranks faster in SERPs. Default Pages like Customized 404 & Coming soon pages have the same importance as the other pages of your website. In JD Austin, you got the attractive custom build default pages which might save you, some of your potential customer who lands on these pages by mistakes. When it comes to the responsive design, JD Austin is fully responsive i.e it can easily adapt to any of the available screen sizes and provide a better content layout. Responsive design is also a ranking factor used by the search engines, so you will get a push in your ranking too with this awesome free multipurpose Joomla template. JD Austin is compatible with all the major browser even with the internet explorer also. 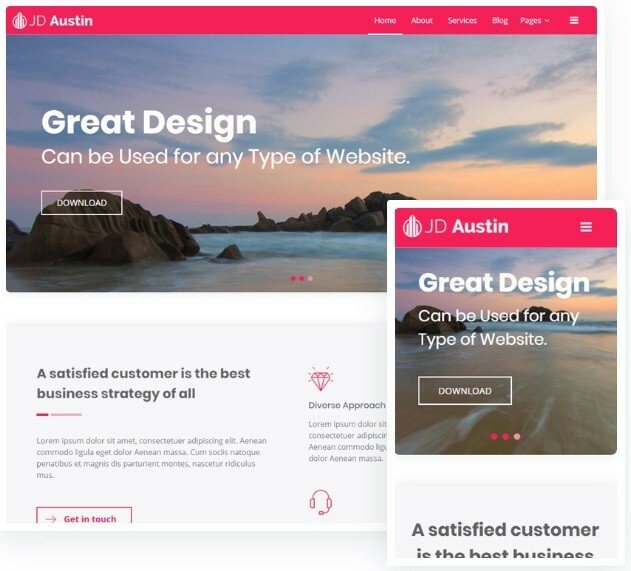 By using JD Austin template you can rely on that your website is accessible to anyone in the world using any browser or any device. JD Austin followed the Boxed design template approach. The wide and boxed layout of the JD Austin provides a very effective and engaging way to showcase your information on your website. 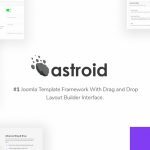 The development team of JD Austin designed the template in such a way that your content gets the maximum exposure and is able to catch as many eyeballs as it can. JD Austin is the perfect Joomla Template for you If you want a free template with all the premium features. 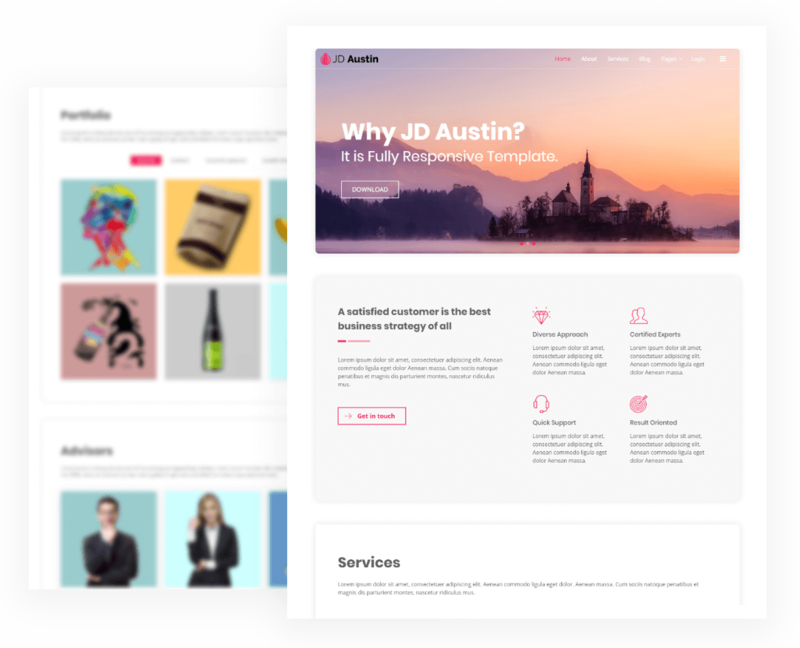 Use this template to make any kind of website without any restriction and If you still have any doubt related to the JD Austin, you can always leave the comments. Our team will try to resolve our doubts asap.